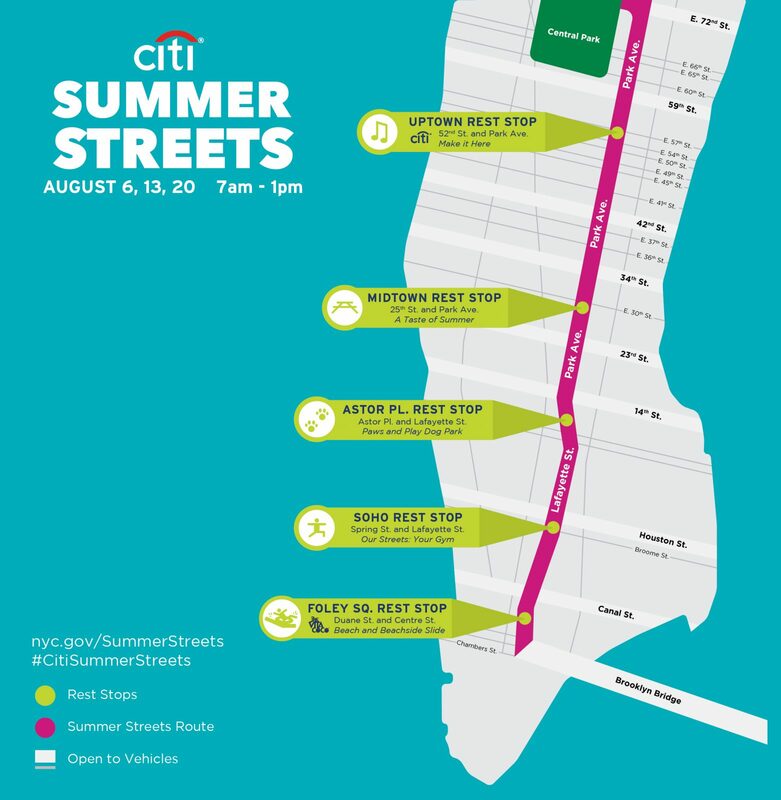 In addition to the customary three Saturdays of car-free streets on Park Avenue and Lafayette Street this summer, the city will be trying out something new for Summer Streets. From 11 a.m. to 4 p.m. on August 13, car traffic will be limited within a 60-block area of the Financial District. The 13th will be the second Saturday in this year’s Summer Streets schedule. For the new car-lite zone, motorists entering the area will have to pass through NYPD-staffed “vehicular traffic entry points,” where they will be encouraged to drive five miles per hour or less. 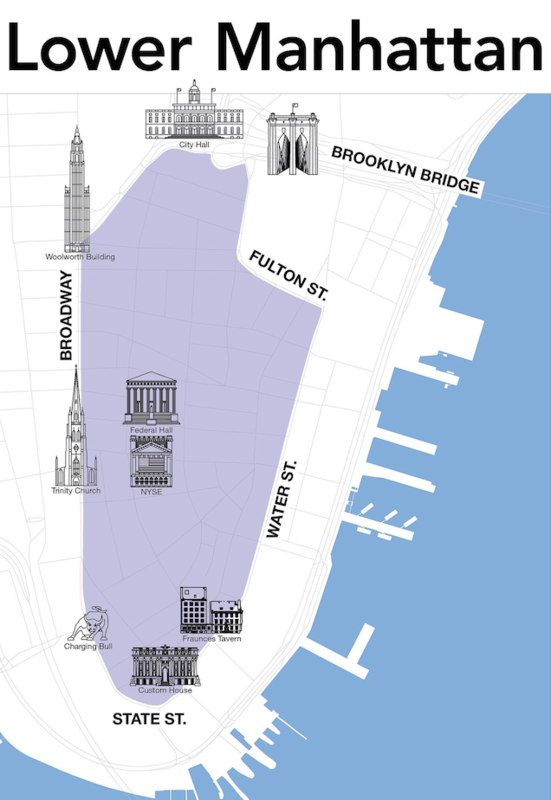 With minimal car traffic entering the neighborhood, the streets will open up to “cultural programming, including walking tours and other activities,” according to City Hall’s announcement.